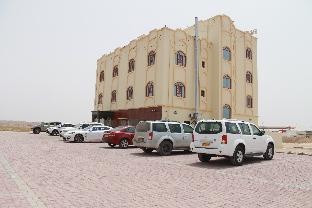 Ideally located in the Ras Al Hadd area, waves hotel ras al hadd promises a relaxing and wonderful visit. The property offers a wide range of amenities and perks to ensure you have a great time. Facilities like 24-hour room service, chapel, taxi service, 24-hour front desk, room service are readily available for you to enjoy. Each guestroom is elegantly furnished and equipped with handy amenities. The property offers various recreational opportunities. For reliable service and professional staff, waves hotel ras al hadd caters to your needs.